Through SC REACH for Success, a statewide network of Public Computer Centers (PCCs) has been established. For Piedmont Tech, this initiative means that computer labs at all seven campuses have been updated and are ready for public use. The labs are staffed by knowledgeable personnel who are available to help computer users. These labs are available through the $437,000 grant Piedmont Tech received with the SC Technical College System, as part of a grant for $5.9M by the US Department of Commerce – National Telecommunications and Information Administration (NTIA). The grant will fund South Carolina Ready to Educate, Activate, Connect and provide Health Information for Success – SC REACH for Success initiative. As part of the initiative, the labs are offering a variety of free workshops. Topics range from Microsoft Office basics and intro to Facebook to setting up e-mail and looking for and applying for jobs online. All of the workshops are free and open to adults in the community. 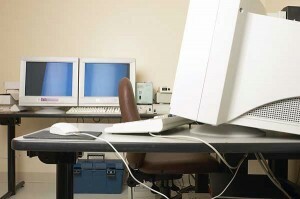 For more information on Piedmont Tech’s Public Computer Centers or a calendar of upcoming workshops, go to www.ptc.edu/library or contact the PCC at your local county campus.